Caroline Johnson, an interior designer in TSP’s local office, has attained national credentials through the National Council for Interior Design Qualifications (NCIDQ). 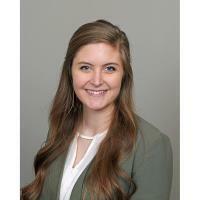 She also recently completed the process to be recognized as a Certified Interior Designer (CID) by the State of Minnesota board responsible for overseeing architecture, engineering, surveying, and interior design professions. Johnson grew up in Apple Valley, Minn., and earned her bachelor’s degree in interior design from the College of Architecture at the University of Nebraska-Lincoln. She set a personal goal to pursue NCIDQ standards, despite no universal requirement for individuals to pass the exams. Each state has the discretion to organize governing entities for specific professions. Nebraska and South Dakota, for example, have no process at the state level. That makes the national designation an extra mark of credibility. It attests to an individual’s scope of knowledge and is a reassurance for clients as well as the firms entrusted with their projects. The NCIDQ’s three, separate test sections cover seven distinct areas that capture core competencies: building systems, codes, construction standards, construction administration, design application, professional practice, and project coordination. The exams are offered only twice a year, and candidates must complete the entire cycle in five years. The clock starts ticking with the first test date. Johnson’s portfolio of recent and/or ongoing work includes PreK-12 education projects for public school districts in Brooklyn Center and Kenyon-Wanamingo; community facilities in Fridley and Rochester; and healthcare work for the Mayo Clinic system, a South Dakota nonprofit that provides counseling services, and an independent hospital in Columbus, Neb. TSP is a full-service integrated architecture, engineering, and planning firm that exists to make our communities better, by design. This work is fulfilling for us because it makes our clients better at what they do. The heart of our design philosophy stretches back to 1930 and our founder’s credo to design it like we own it. Through teamwork, service, and passion, our people listen and develop a deep understanding of each client’s “why.” We collaborate with clients, building trust-based relationships as we help them discover solutions that combine form, function, and economy. We design legacy buildings that fit our clients’ needs today and are flexible enough to serve them well into the future. Visit www.teamtsp.com to learn more about our culture, people, and projects throughout the Midwest.